Home > Dining and Gourmet > [BreadTalk® Singapore] Keep the celebreadtions going with our 2nd selected piece at $1 deal! 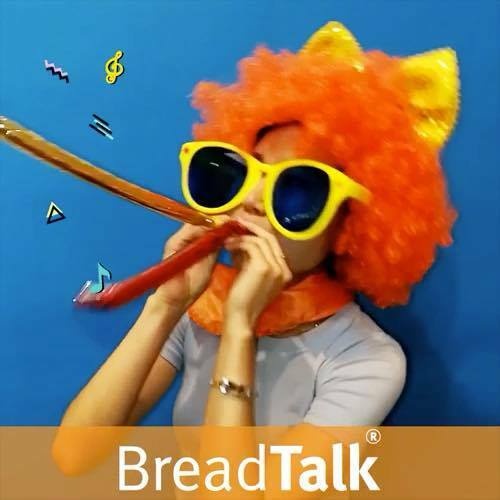 [BreadTalk® Singapore] Keep the celebreadtions going with our 2nd selected piece at $1 deal! Keep the celebreadtions going with our 2nd selected piece at $1 deal!  Check in-store for details. Previous: [KFC Singapore] Raise your horns with KFC’s Hot Devil Drumlets  — 2017’s Biggest Little Comeback! Next: [Garrett Popcorn Shops] Make plans to enjoy the outdoors this week!